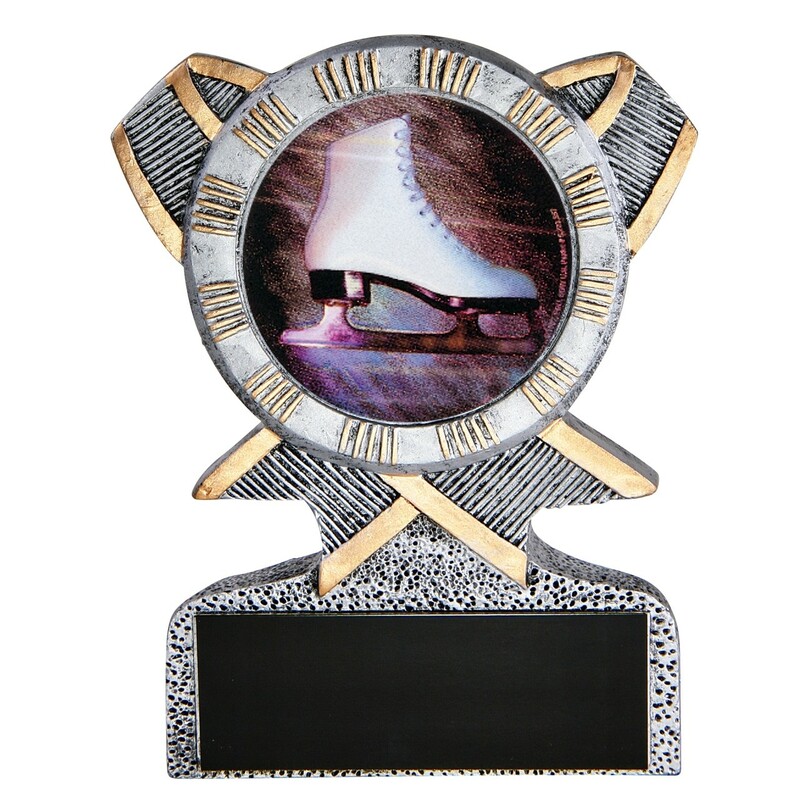 Recognize the achievements of the great skier with a Figure Skating Action Resin Award. This beautiful award resembles cast pewter with bronze highlights. Customized as a figure-skating award, this 5" trophy has a full color, holographic skate insert. Image depicts a figure skater in swirling action.